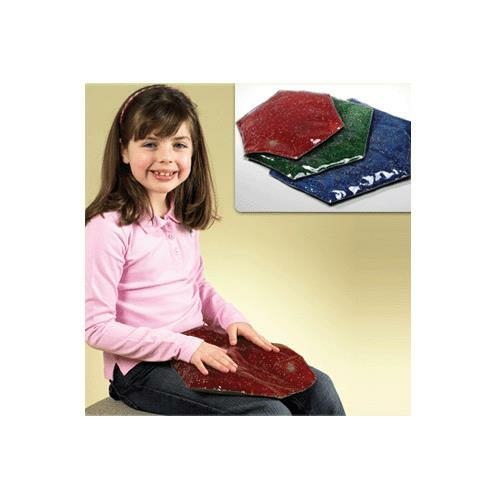 Skil-Care Weighted Lap Pads for Children provide deep pressure to make children feel grounded while sitting. They help students stay focused when seated at their desks and reduces fidgeting when traveling in a car or school bus. The pads are covered in clear, wipe clean vinyl and the water-based gel filling offers calming tactile sensory input. how do you know what weight to buy for child? Thank you for reaching out to us. Although there is no specific formula for determining the weight, the common formula to use is 10% of the child's weight plus 1 pound. After the weight is selected, a therapist should observe the child to determine whether adjustments are needed.